Following a week in which both Brent ($28.94) and WTI ($29.70) crude prices tumbled below $30 per barrel, it might seem premature to suggest that important preconditions for crude prices to stabilize in the first half of 2016 are forming. This is does not mean crude prices will rally substantially, or more than a few U.S. dollars, just that some of the critical factors that have pressured prices downward over the last eighteen months show signs of abating and that this could allow a base to form under crude. U.S. dollar appreciation against other currencies has played a significant role in the decline in crude prices. Crude is priced in U.S. dollars. As it has appreciated, it has raised crude and petroleum product prices—for unpegged currencies—in local currency terms, pressuring demand. Along with domestic issues specific to various countries (e.g., Brazil’s Petrobras corruption scandal), the appreciating US$ also sparked capital outflows, weakening economies and exacerbating downward pressure on demand. The factors that strengthened the U.S. dollar appear to be abating. Expectations that monetary policy in the U.S.—toward tightening—will continue to diverge from monetary policy in the European Union, Japan, and China—toward loosening—are diminishing. Coming into 2016, anticipated the Federal Reserve would follow up its December 0.25 percent increase in the Federal Funds rate with four additional increases in the course of 2016, while EU, Japanese, and Chinese central banks continued on the path to easier money. Recent economic events don’t support that expectation. U.S. data—for example, industrial production, retail sales, business inventories, Empire State manufacturing survey—suggests the U.S. economy’s rate of growth is slowing. Estimates both for the Q4 2015 and the 1Q 2016 economic performance are falling. An Atlanta Fed survey puts Q4 at 0.6 percent, while Q1 2016 estimates are tracking below 2 percent. Consumer price inflation remains below 2 percent on an annual basis, producer prices in December fell 0.1 percent on an annual basis, 0.2 percent on a month-to-month basis, import prices fell, and the December employment report showed a negligible increase in average hourly earnings. Faltering economic performance in China, Russia, Brazil, and Japan and in most emerging markets—as a result of which the World Bank has cut its forecast for global growth in 2016—will reduce U.S. exports. Crude Supply Growth: Undershooting Bearish Projections? Since the Saudis announced their intention to abandon their role as swing producer in November 2014 and reaffirmed it in December 2015, markets have anticipated that crude supply would exceed crude demand. Markets attributed the supply imbalance primarily to current and/or expected output increases from five producers: the Saudis, who started to ramp up production in 1Q 2015; Iraq, which surprised markets with output that exceeded 4 million barrels per day (mb/d) and reached as high as ~4.30 mb/d; American producers, who showed unexpected resilience and increased output over 2014 levels despite lower prices; Russian producers, which exhibited similar resilience and also increased output over 2014 levels; and the expected increase in Iranian output and exports that authoritative Iranians put at 1 mb/d within six months of the lifting of international sanctions related to Iran’s nuclear program. Doveryay no proveryay, Russians say (trust but verify), and skepticism is warranted—crude exporting countries, including Russia, aren’t known for their transparency. January 15, according to another Reuters report, Russian Energy Minister Novak dismissed coordinated oil production cuts with OPEC as “unlikely and inefficient” and said that “…it is unlikely that all the countries within OPEC can agree on production cuts, let along those countries which are not in the OPEC coalition.” He also noted that Saudi Arabia and other OPEC countries increased output 1.5 mb/d in 2015. Yet, there is less to this seeming contradiction between Transneft and Novak than meets the eye. First, the Russian government has said consistently that Russian energy companies are private and make their own production decisions—a position that they evidently believe may provide some leverage in negotiations with other countries on production cuts (along with their standard argument that harsh climatic conditions in Russia make limiting production impossible). Second, the light at the end of the economic tunnel President Putin professed to see in October 2015, when he asserted that the Russian economic crisis had passed through its nadir, turned out to be an oncoming locomotive’s headlight. Economic conditions are deteriorating (a second year of recession now looms, automobile production is in freefall, real incomes are falling), financial conditions are deteriorating (the Ruble has fallen below RUB70/US$, high interest rates are killing investment), the budget situation is deteriorating (except for the military and agriculture, budget cuts of 10 percent are in the offing, a $38 billion budget deficit looms, the sovereign wealth fund faces potential depletion within twelve-to-eighteen months), and company prospects are deteriorating (last week Gazprom announced a Q3 loss (RUB985 million loss), while its year-to-date cash flow statement shows that operating cash flow does not cover investment outlays, interest paid and capitalized interest, and dividends). Reality is catching up with the Iran-Oil-Export-Boom-Apocalypse. January 14 Bloomberg released the results of a survey of twelve analysts and economists, including from UBS and Saxo Bank A/S, on their estimates of the increase in Iranian crude output over the next year. Their median estimate was 100,000 barrels/day in the first month, 400,000 barrels in six months, and 680,000 within a year. One Norwegian analyst, Per Magnus from Nysveen, Rystad Energy AS, citing the need to add production equipment, put the increase at just 150,000 within 6 months, and 250,000 in a year. Another Wall Street Journal article details additional hurdles. It quotes Rokneddin Javadi, chief of the state-owned National Iranian Oil Co., as saying that it may take nine months before Iran signs its first new oil-export deals (Iran has contracts in place with some countries, including China and India). Financing may prove difficult, as U.S. terrorism-related sanctions remain in place and major international banks, some of which paid US$ billions in fines for violating sanctions, may be reluctant to risk another round of fines. Low crude prices are also a disincentive for foreign oil companies. As for the U.S., the question is how resilient U.S. output will prove. Output peaked in Q3 at 12.95 mb/d, ~1 mb/d above 2014 average. The IEA anticipates average output in 2016 to drop 350,000 barrels/day, from 12.79 mb/d to 12.44 mb/d, and from peak output—(12.95 mb/d)— by 500,000 barrels/day. In Iraq, increasing output from 2015’s ~4.3 mb/d peak—perhaps even maintaining output at these levels—could prove difficult. 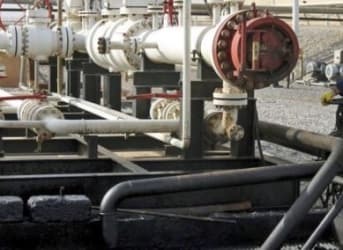 Low crude prices and the cost of fighting the Islamic State forced Iraq’s oil ministry in September to warn the foreign energy companies operating in its southern oil fields—including Lukoil, BP, ENI, and Shell—that reimbursement funding for their work would be cut. Some companies’ representative worried this would eliminate investment in new production and limit spending to maintenance at best. In addition, completion of the Common Seawater Supply Facility project, which is required to increase production from the southern oil fields, has been pushed back to 2020. Without it, according to Michael Cohen, Barclays head of energy commodities research, production from these oilfields could decrease 10 percent annually. The Saudis have not offered any guidance on 2016 output and export levels. According to IEA data, the Saudis in 2015 increased output an average 600,000 barrels/day and exports an average of 500,000 barrels/day (see table below). In 2016, the export “yield” from their 2015 crude output levels could increase, since the recent government decision to increase domestic energy prices should reduce domestic consumer demand for gasoline and other petroleum products. More impactful would be incremental crude output. The IEA puts Saudi capacity at ~12 mb/d, which implies the Saudis could add 1.5 mb/d to their exports. In other words, the market forces in which the Saudis claim to have put their trust appear to have moved the crude market closer to balance. Whether the crude market achieves balance in 2016, it seems, will depend in some measure on when and how much crude Iran actually can bring to market. The Saudi response, however, could play a greater role. They have three choices. Based on the IEA’s estimate of Saudi output potential, they could flood the global markets with additional crude and inflict further revenue pain on Iran, other producers, and, of course themselves. Alternatively, they could dial back output from 2015 peak levels and accommodate some increased production. Finally, they could keep output at 2015 peak levels and let market forces make the final push to balance. I wonder if the China consumption number is correct? Article today saying record China consumption of 10.32 bpd in 2015. That makes a difference of 1 million bpd less than mentioned here.